A guide to available tools, components, frameworks, and platforms for developing applications on Ethereum. For any developer — whether a wide-eyed3 Web4novice or a grizzled OG crypto-anarchist tech overlord — Github is your friend. The ConsenSys Github in particular features perhaps the most definitive repository for Ethereum dev tools you’ll find on the entire Internet. Whether it’s the basics, coding languages, IDEs, APIs, ABIs, frameworks, best practices, smart contract standards, testing tools, or faucets, the ConsenSys Github has what you need to start building decentralized apps on the Ethereum blockchain now. Creation of this list was spurred by product managers at ConsenSys who saw a need for better sharing of tools, development patterns, and components amongst both new and experienced blockchain developers. If you’re ready to delve into the wormhole, get scrolling! To stay updated on all things ConsenSys and Ethereum, sign up for the weekly newsletter and stay abreast of all the latest updates and news. Solidity — The most popular smart contract language. Truffle — Most popular smart contract development, testing, and deployment framework. Install the CLI via NPM and start here to write your first smart contracts. Metamask — Chrome extension wallet to interact with Dapps. EthHub.io — Comprehensive crowdsourced overview of Ethereum- its history, governance, future plans and development resources. Remix — Web IDE with built in static analysis, test blockchain VM. Superblocks Lab — Web IDE. Built in browser blochain VM, Metamask integration (one click deployments to Testnet/Mainnet), transaction logger and live code your WebApp among many other features. Pragma — Very simple web IDE for solidity, and auto-generated interfaces for smart contracts. Intellij Solidity Plugin — Open-source plug-in for JetBrains IntelliJ Idea IDE (free/commercial) with syntax highlighting, formatting, code completion etc. YAKINDU Solidity Tools — Eclipse based IDE. Features context sensitive code completion and help, code navigation, syntax coloring, build in compiler, quick fixes and templates. Eth Fiddle — IDE developed by The Loom Network that allows you to write, compile and debug your smart contract. Easy to share and find code snippets. getho — DApp development platform including PoA private blockchain and Smart Contract testing tool. flex-contract and flex-ether Modern, zero-configuration, high-level libraries for interacting with smart contracts and making transactions. ez-ens Simple, zero-configuration Ethereum Name Service address resolver. web3x — A TypeScript port of web3.js. Benefits includes tiny builds and full type safety, including when interacting with contracts. Vortex — A Dapp-ready Redux Store. Smart and Dynamic background data refresh thanks to WebSockets. Works with Truffle and Embark. ABI-gen — Generate Typescript contract wrappers from contract ABI’s. One Click dApp — Instantly create a dApp at a unique URL using the ABI. Truffle Pig — a development tool that provides a simple HTTP API to find and read from Truffle-generated contract files, for use during local development. Serves fresh contract ABIs over http. Dappsys: Safe, simple, and flexible Ethereum contract building blocks has solutions for common problems in Ethereum/Solidity, eg. OpenZeppelin: An open framework of reusable and secure smart contracts in the Solidity language. CryptoFin Solidity Auditing Checklist — A checklist of common findings, and issues to watch out for when auditing a contract for a mainnet launch. Mustekala — Ethereum Light Client project of Metamask. Mana — Ethereum full node implementation written in Elixir. truffle-assertions — An npm package with additional assertions and utilities used in testing Solidity smart contracts with truffle. Most importantly, it adds the ability to assert whether specific events have (not) been emitted. Psol — Solidity lexical preprocessor with mustache.js-style syntax, macros, conditional compilation and automatic remote dependency inclusion. solpp — Solidity preprocessor and flattener with a comprehensive directive and expression language, high precision math, and many useful helper functions. Doppelgänger — a library for mocking smart contract dependencies during unit testing. rocketh — A simple lib to test ethereum smart contract that allow to use whatever web3 lib and test runner you choose. Truffle boxes — Packaged components for building DApps fast. EthToolbox — A web app with off-chain tools for Ethereum developers. EC recovery, address formatter, unit converter, hash functions, keys generator, etc. ERC-165 — Creates a standard method to publish and detect what interfaces a smart contract implements. ERC-725 — Proxy contract for key management and execution, to establish a Blockchain identity. cryptofin-solidity — A collection of Solidity libraries for building secure and gas-efficient smart contracts on Ethereum. ARC — an operating system for DAOs and the base layer of the DAO stack. Feel free to submit a pull request, with anything from small fixes to tools you’d like to add (or remove!). If adding a new tool, please add a brief description that you think new developers would understand. Many thanks to the 20+ contributors including @corbpage of Meridio for the idea, @pakaplace for expanding and curating, and @jpantunes for restructuring the list in a more logical way. Projects that do not have a working product will not be added. Projects that are deprecated or no longer maintained will be removed. Projects that are paid/restricted services without open source code or developer reviews will be further vetted. 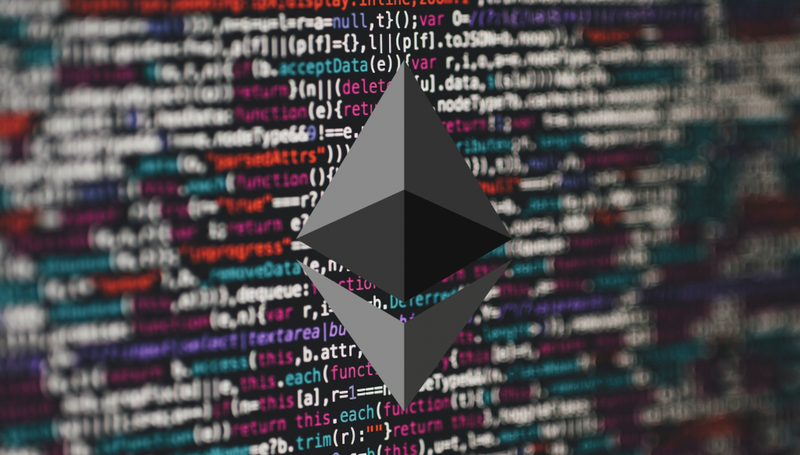 An Definitive List of Ethereum Developer Tools was originally published in ConsenSys Media on Medium, where people are continuing the conversation by highlighting and responding to this story.